Season 5 Mayhem: Diablo 3 Items Collectors Gone HAM! We get it, Season 5 has turned the tables for Diablo 3 and has successfully won the players back, so everyone’s excited to try out all the new features, Diablo 3 items, rewards, etc. It’s only been a few days since the launch of Patch 2.4, but some players are already grinding on difficulty levels that most of us won’t even dare dream of. Yes, they’ve all gone ham, folks! Find out more here! Three months is enough time for an average player to level up until Level 70, gain a few hundred more Paragon levels, and maybe even get to Torment X – but some players of S5 are just beyond all that! Insanely high level Greater Rifts are already clearing here and there, and mind you, these are end-game dungeons where you have to reach and kill a boss in 15 minutes. If you’re fast enough, you can progress and try a harder level. A Level 20 Greater Rift shouldn’t pose much of a threat. A Level 45? Not if you have a well thought-out build! But a Level 80? Talk about going HAM. How do they even do this? 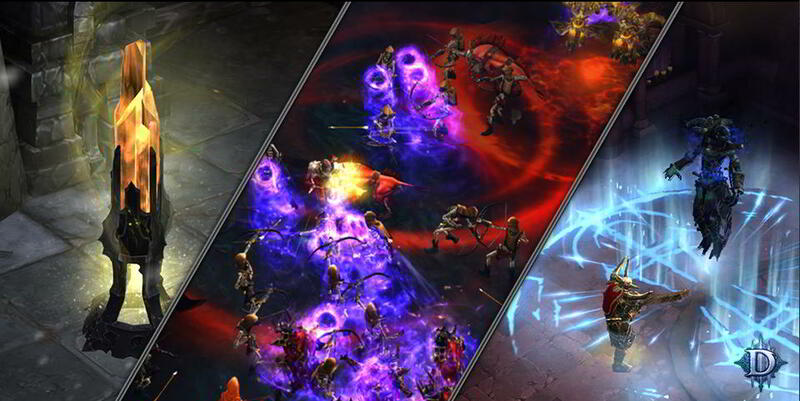 We reckon it’s not just with their overpowered Diablo 3 Legendary items. We’ve got Alkaizer, who can rush through a Level 82 Greater Rift with his Crusader. Check out his arsenal, build, and D3 items here. Apparently, there are lots of Crusader players this season – quite possibly because they thrive in being surrounded by large, powerful mobs. Another player, Quin, cleared a Level 80 Greater Rift, plus a Rift Boss with almost 9 trillion HP with his Wizard. We all know the Wizard is difficult to play, especially when overwhelmed by demons and having no tactical position whatsoever, but how Quin manages to make it appear so easy is way, way beyond us! These are difficulty levels where even the best geared with D3 items can only progress when everything is perfect: when the Rift layout’s favorable (that is, large open spaces instead of a labyrinth of narrow routes), it’s filled with easier monster types and monster density is easier to deal with. Currently, it appears that only Crusaders, Wizards and maybe Barbarians have viable builds to do these challenges, as there aren’t any Demon Hunters, Monks, or Witch Doctors among the top players.